Hi Point Changes Up Their Pistol Line. Finally. 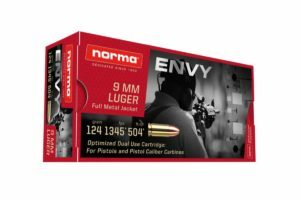 Aside from being big, bulky, heavy, and ugly (all true), one of the main beefs that people have with the budget-friendly firearm brand HiPoint is the low capacity (also true). Their line of pistols and pistol caliber carbines have always featured a limited capacity single stack magazine despite the wide grips. That changes now. 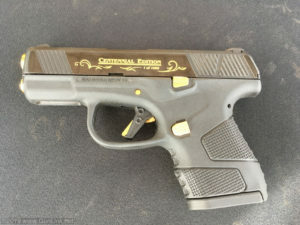 For two decades, the Model C9 – a blowback operated polymer-framed 9mm pistol with Zamak slide – has been the company’s flagship handgun. Throughout that time, the Hi-Point product line has seen precious few changes aside from the addition of new calibers and cosmetic features. 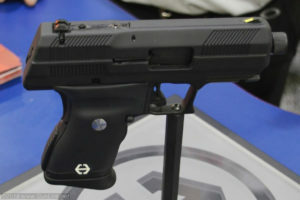 This includes the stock flush-fit 8-round magazine capacity that C9 owners have always been limited by. 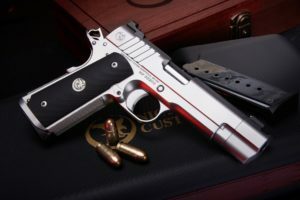 At SHOT Show 2019 in Las Vegas, the Ohio-based company introduced their latest pistol offering – a higher capacity 9mm with a few new features that will be appreciated by those who don’t immediately turn up their nose at the inexpensive firearms. Hi-Point is quick to point out that the new handgun is not just a tweaked version of their existing pistols but, rather, is an entirely new firearm with a more contemporary design that they say will stick with the company’s affordable pricing structure. 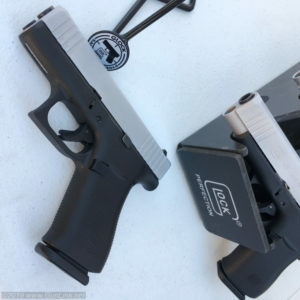 The GunLink team was split on whether or not we would like the two new single stack offerings from Glock. On one hand, some of our team thought that the pistol giant was late to the game, as they often are, while others, particularly those of smaller stature, were excited for the simplicity and reliability of the platform in a form factor that would be easier for them to use. After getting some trigger time on the new models, they seem to make a bit more sense. The world’s largest trade show for target shooting, hunting, outdoor and law enforcement products injects more than $88 million to Las Vegas and Nevada economies. The 41st Shooting, Hunting and Outdoor Trade Show (SHOT Show) opened today at the Sands Expo Center and will span four days, running Jan. 22-25. The 2019 show marks the 21st time the show has been in Las Vegas, where it has been at the Sands Expo Center continuously the last 10 years. SHOT Show will attract more than 60,000 professionals from the firearms and outdoor industry to view new, innovative products used for target shooting, hunting, outdoor recreation and law enforcement purposes. The SHOT Show is a boon to the Las Vegas and Nevada business community, pumping more than $88 million in non-gaming revenue into the economy. 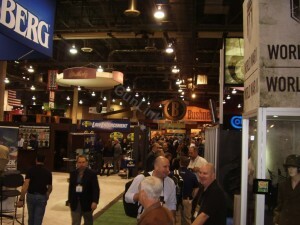 SHOT Show attracts more than 2,400 exhibiting companies occupying more than 692,000 net square feet of exhibit space, completely filling the Sands Expo. Demand for exhibit space at the show reflects the high-interest Americans have for firearms ownership and recreational shooting equipment. NSSF surveys show that some 40 million Americans would like to learn more about the target-shooting sports.